proprietor and editor of "The Isle of Man Examiner" since its first appearance in July, 1880, this year retired from participation in the concern, selling his interests to the present proprietor, Mr. T. R. Radcliffe. Mr. Broadbent is over 72 years old and has led an exceptionally strenuous life, and he took this step upon medical advice, after having been seized in 1920 with a slight stroke of paralysis. He is a native of Peel, and was one of the original six pupils in the PM Wesleyan School. In 1866 he went to Douglas, to serve his apprenticeship as a printer with the late Mr. Matthew Glover. Ten years later he commenced for himself, and the history of the development of the "Examiner" and its allied businesses is too well known to need recapitulation on this occasion. Mr. Broadbent has taken his personal share in public life, and is an ex-chairman of the Douglas Board of Guardians; he is also actively associated with the Manx Society, the World Manx Association, and kindred organisations. Rector of Bride, is a prominent figure in the councils of the Mans Church, and holds the office of clerical secretary of the Diocesan Conference; and is a leading member of the Isle of Man Education Authority, which body has for three succcssive years appointed him chairrnan of the Management Committee. He was born in Douglas in 1873, and before taking Holy Orders was professionally engaged in educational work. 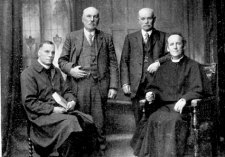 He was ordained in 1907, and was vicar of Lezayre front 1909 to 1920. He is a trustee of the Manx Mueum. He is not neglectful of the public affairs of his own parish, where he is chairman of the Board of Guardians. was for many years a prominent business man in Douglas, and has just been elected a member of the Douglas Town Council. He was born in Douglas 50 years ago, and belongs to a family which was formerly well-known in the parish of Santon. For 25 years, in partnership with Mr. Thomas E. Cowley, he carried on business as a licensed grocer, and he retired in February last. He is a vice-president of the Manx Society, a trustee of the Manx Museum, and a member of the committees of the Isle of Man Natural History and Antiquarian Society and of the World Manx Association. is the newest recruit to the Town Council, having been elected on November 1st last. He is one of the youngest members of the Council being still short of 40 years old. He is a native of Castletown, and came to Douglas when 15 years old, to take up employment with his uncle, the late Mr.. J. J. Taylor, leather merchant, to whose business he eventually just suceeded. He is an enthusiastic Mason, and has just retired from the Chair of the recently formed Rushen Lodge; and he is in active member of the, committee of the Wanderers Football Club. Is a Village Commissioner of Port Erin, in which locality he set up business, as a draper sixteen or eighteen years ago- He served for a short time on the defunct Rushen school Board, and generally he is identified with useful causes in his locality. He has given an immense amount of labour in the service of the Wesleyan churches at Castletown and Port Erin, and has just retired from the office of circuit steward. 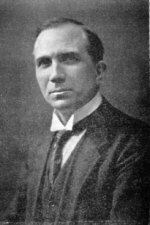 He is one of the most eloquent and forceful members of the executive of the Isle of Man Football Association, of which body he was president in 1910-11, and is :admittedly one of the most capable referees in the Island. One of the most active figures in Douglas public affairs during the past six years has been Mr. Thomas Henry Cowin, who has just ceased - for the time being, at all events - to be a member of the Town Council. It is no exaggeration to say that but for Mr Cowin's energy and persistence, the artisans' dwellings scheme now in progress would never have been launched, and he was also a pioneer in the establishment of a public electricity supply. In earlier years he was a prominent member of the defunct Isle of Man Chamber of Commerce, and he worked like a Trojan in organising the carnivals which proceeded the summer season in 1911 and in other years. Mr Cowin is a draper, and conducts one of the most successful and up-to-date businesses in the Island. The Isle of Man possesses two women poets richly endowed with human intuition and artistic skill - Miss Josephine Kermode, bertter known as "Kushag," and the young lady whose portrait is given above. Miss Douglas is the daughter of Mr. and Mrs. Frank Douglas, now of Ballarragh, near Laxey, and she first saw print in 1915, when she was only 16 years old. A collection of her poems entitled "Manx Song and Maiden Song," appeared as the first of a series of "Little Books of Georgian Verse"; and two years later, Miss Douglas caused to be published another volume called "Mylchurachan," the title being a Manx equivalent to the English "flotsam and getsam." Three short dramatic pieces of hers, written in the Manx dialect, "The Faery Tune," " The Lips of the Sea," and "Churning," have been produced wilh great acceptance. For several years Miss Douglas was secretary of the Manx Society. 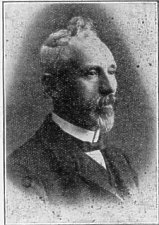 retired from the headmastership of the Santon elementary school in 1921, after having for forty years had charge of schools in the Isle of Man and elsewhere. Mr. Lace is a native of Foxdale, and was for five years a pupil teacher in the National School in that district. After completing his training, he obtained an appointment in Wigan, and some years later became headmaster of St. Michaels Wigan and St. Catharine's Wigan. But the call of his homeland became irresistable, and he accepted a headmastership at Michael, and later on at Santon. His scholastic achievements are considerable, and he is a Fellow of the Royal Geographical Society and of the Society of Science, Literature and Art. He is an ethusiatic and well versed antiquarian and is a past president of the Isle of Man Natural History and Antiquarian Society, which body has several times appointed him its delegate to the annual conference of the British Association. He is an ardent musician, and has been organist at St. Pauls Foxdale, Rushen Parish Church, Michael Parish Church, St Barnabas Church Douglas and two churches in Wigan. A lifelong abstainer, he was for six successive years Chief Ruler of the Glenmaye Rechabite Tent, of which he has also been secretary. At St. Catharine's school Wigan, he brought into being a Band of Hope which finally numbered 800 members; he used annually to conduct "total abstinence festivals" in the Wigan Town Hall. He was for 14 years clerk to the Santon Parish Commissioners. resides at The Mount, Port St. Mary, and is related to that old-established Manx family the Gawnes of Kentraugh. A man of leisure and geniel and obliging in the extreme, he has not sought membership of any popularly-elected bodies but has rendered reliable and unostentatious service to many institutions of public usefulness. For example, he has been president of the Rushen Garden and Farm Produce Show since its inception, and is himself one of the most entusiastic and expert amateur gardeners in the Isle of Man; he was commandant of the Rushen section of the Loyal Manx Volunteer Corps during the war; and he is an ex-chairman of the Manx Music Guild Festival, and he shouldered the onerous duties of steward daily throughout that festival almost years without number. He was made a Justice of the Peace in 1911.
is one of the leading members of the London Manx Society, of which he has twice been president. He is a native of Andreas, and was headmaster of the Andreas elementary school for the 13 years prior to his removal to London in 1904. He was the inventor of a drawing instrument, of which many thousands were sold, and of another contrivance called " The Magic Hexagon." While in Andreas, he identified himself whole-heartedly in local movements, and was almost the principal originator of those successful annual events, the Andreas Harvest Show and the Andreas running and cycle races. He has brought equal energy and enthusiasm to bear upon the activities of the London Manx Society. He is a fluent speaker of the Manx language. has thrice been president of the Manx Society, and in that capacity welcomed the members of the Pan-Celtic Congress upon their visit to the Isle of Man in l921. He is the official translator into Manx of the Acts of Tynwald. Mr. Kelly is the younger son of the late Mr. Henry Kelly, of Ballaqueeney, Port St. Mary, and was educated at Kiong Williams College and at Peterhouse, Cambridge. He was admitted to the Manx Bar in 1906, and is now a partner with Mr. C. T. W. Hughes-Games, Vicar-Gencral. No resident of Laxey and district is held in greater respeet than Mr. John Kinrade, whose photograph appears above. Mr. Kinrade is a native of Andrews, and his infancy was spent at Milntown and Glenauldyn, but his parents made their home in Laxey when he was six years of age. He has for forty years been in association with Mr Robert Williamson, wholesale and retail grocer and provision merchant, of Laxey and Douglas, and for half of that time he has been in charge of the Douglas branch of that remarkably successful business. He is an ex-president of the Isle of Man Grocers' Association. Mr Kinrade's name is most inextricably associated, however, with the work of the Minorca Primitive Methodist Church and Sunday-school, which institution he has served with an untiring devotion. He became a local preacher before he was out of his teens, and he has been "in harness" all his life; he has seveval times represented the Laxey circuit in the Liverpool District Synod, and he was once representative of that Synod in the Primitive Methodist Conferenee. He is a staunch teetotaller, and a dauntless, though ever courteous, defender of the principles of religious equality. Kindly and patient, Mr. Kinrade is a man to whom one would readily turn in time of trouble or perplexity. His business and religious activities have prevented hiin from taking any sustained interest in local public life, although he is fervently interested in education his early training was for the teaching profession-and he has served a term on the now defunct Lonan School Board. is a prominent figure in Castletown, and has just been elected to the, Town Commission. Born at the Howe 46 years ago, he has spent most of his life in Castletown, where he is now a partner in the well-known firm of T. M. Dood, Ltd., grocers and wine and spirit merchants. For some years he carried on business in a smaller way at Ballasalla, and during his residence there he was a member of the Malew Board of Guardians. He is an auctioneer, the only member of that profession in the South of the Island, and has on several occasions been Coroner of Rushen. He was first secretary caf the Castletown Association Football Club, which club he now represents with conspicuous ability on the executive of the Isle of Man Football Association. The Isle of Man has since 1907 been the home of an English painter of distinction - Mr. William Hoggatt, of Glendown, near Port St. Mary, who has contributed many works to the annual exhibitions of the Royal Academy. Many specimens of Mr. Hoggatt's art are to be seen in municipal galleries and in important private collections, including; that of Lord Leverhulme. He has just received an invitation to contribute one work to the Palace of Art conected with the great British Empire Exhibition at Wembley next year. Mr. Hoggatt nowadays draws his subjects exclusively from Manx pastoral and coast scenery. A picture of his is to be reproduced on the poster issued by the Isle of Man Board of Advertising next season.